Want an interest free payment plan for your parts? Have a look here. Customers can pay us for goods via Paypal or direct bank transfer. Most customers prefer to use Paypal because it is fast and offers the customer a high degree of buyer protection. Can I make part payments on an order? Yes, depending on the item you want to order it is possible to come to an arrangement with us to pay for products in instalments. If you want to go onto a payment plan to suit your budget, check out our payment plan. When do we start production of an order? Allocate a production time slot so that production can commence at the next available opportunity. If there is going to be a substantial delay in obtaining a time slot, we will always advise the customer in writing and seek permission for extended time to commence production. What happens if I am not happy with a product I receive? Under the terms and conditions of trade we are obliged to offer repair, replacement or refund. See more on this subject here. Is tracking available with my order? Yes, All dispatches come with tracking. You will receive tracking details via an ‘order dispatch notification’ email. You are an Australian business, but your prices are in Euros.Why is this? The Australian Dollar (AUD) is not a widely traded currency on the world market. Most customers are more comfortable buying in their own currency. Since most of our customers originate from Europe, it makes sense for us to trade in a currency they immediately recognise. Do Product prices include shipping costs? No.Shipping prices are calculated when an item is added to the shopping cart. Shipping costs are based on the region you select for delivery. The shipping region you select when adding an item to the shopping cart must match the postal address entered during checkout. What does ’14 days ARO’ mean on some item details? An item with ‘dispatch immediate’ is an off the shelf item and usually will be in the mail on the same day. Where does the name ’Simquip’ come from ? What do the red tags next to product listings mean? The red tags tell you what specific aircraft model the part is applicable to. ‘Fits all B737’ means that this part will fit any correctly dimensioned B737 flightdeck regardless of the model. ‘For Boeing NG’ means that the part will fit any correctly dimensioned B737, but will look out of place on a non specific NG styled flightdeck. Is it safe to buy from Simquip? Absolutely! We use Paypal as our primary payment processor. Under the agreed terms and conditions of sale,if you are not satisfied with one of our products or it does not arrive, you have the right to claim a full refund including any shipping charges. 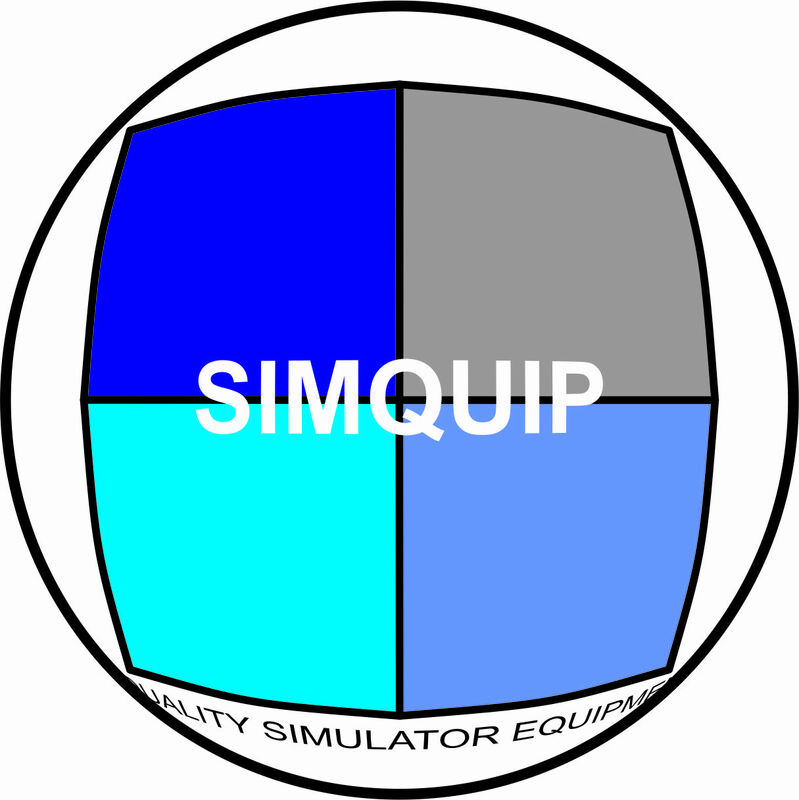 By purchasing with Simquip you are assured of delivery or your money back. How real are your parts? From 1997 until 2001 Simquip was a licensed Boeing parts manufacturer. This means that we had access to Boeing drawings and related intellectual property. Our parts are very accurate and although some materials may differ from the aircraft most of our parts will fit directly onto an actual aircraft. Boeing were so concerned that our replica parts could be used instead of OEM parts that they insisted that our parts be marked "SIMULATION USE ONLY" which we still do to this day. If our parts do not fit a correctly dimensioned simulator flightdeck, we will provide you with a refund of any purchased part.